Hi! I’m Alex, a 20 year old volunteer from the UK, studying a geography degree at the University of East Anglia. I am volunteering at Tacugama for a month over the summer break. It has already been a life-changing experience, not only have I learnt so much about Western Chimpanzees but also about the diverse culture that Sierra Leone has to offer as well as the challenges faced by conservation programs such as Tacugama in maintaining the countries remaining natural reserves. Hi! I’m Zsófia. I’m 24 years old and from Hungary. I finished my logistics studies in February and I currently work in the automotive sector as a continuous improvement technician. 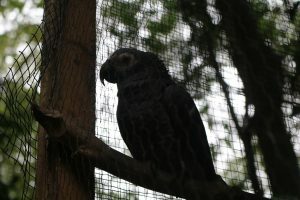 I am the newest volunteer to Tacugama, arriving at the end of June, and I’m already in love with the sanctuary! I’m staying here for 6 weeks and cannot wait to learn and help out as much as I can while I’m here. We are staying in a simple yet cosy volunteer lodge within the sanctuary that provides us with all the necessary services (e.g. running water, gas hobs etc.). Its colourful interior and big windows creates a welcoming and vibrant environment. A bonus about living within close proximity to the chimpanzees is that we can hear them from inside the house – they are much louder than we thought! 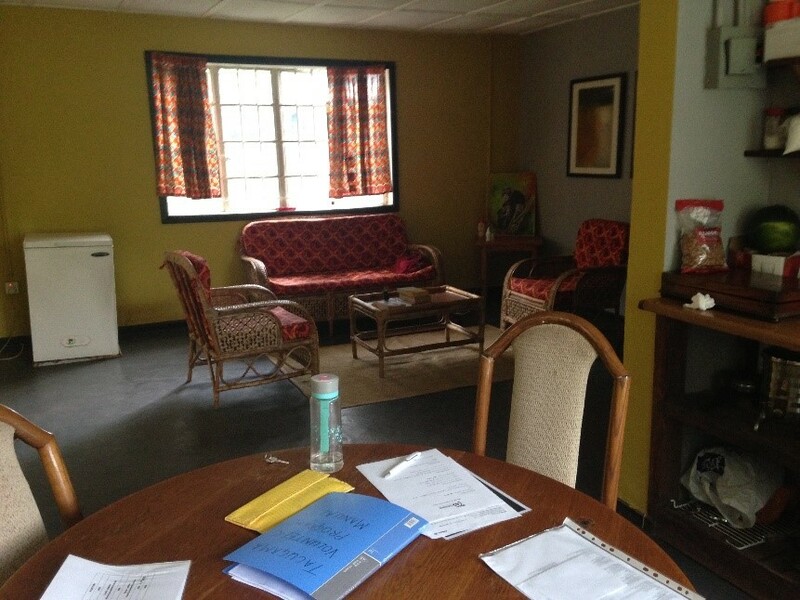 We were surprised that the volunteer house now has wifi, enabling us to communicate with friends and family back home. Currently it’s just the two of us along with a multitude of rather large yet harmless insects (Tacugama is not for the faint-hearted when it comes to creepy-crawlies!). We each have a separate room to ourselves as well as 2 bathrooms to share, both with showers that run cold water which Alex personally finds refreshing after a day’s volunteering. 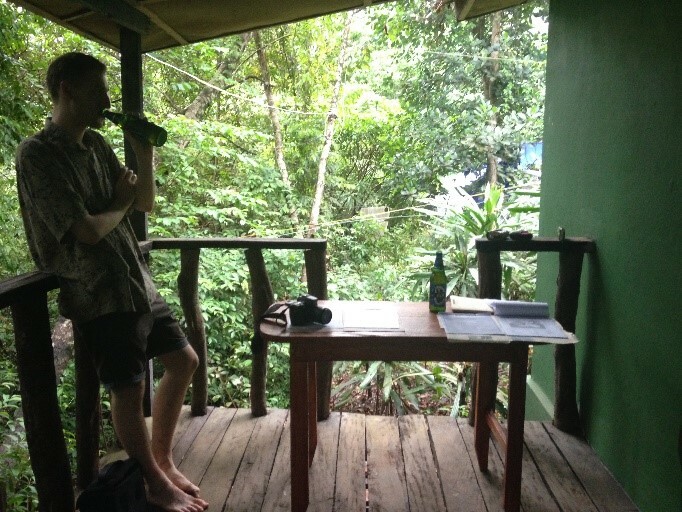 Our favourite part of the volunteer lodge is the lovely terrace out the back, with views overlooking the rainforest in which Campbell’s monkeys and tree squirrels can be spotted clambering about high in the canopy. 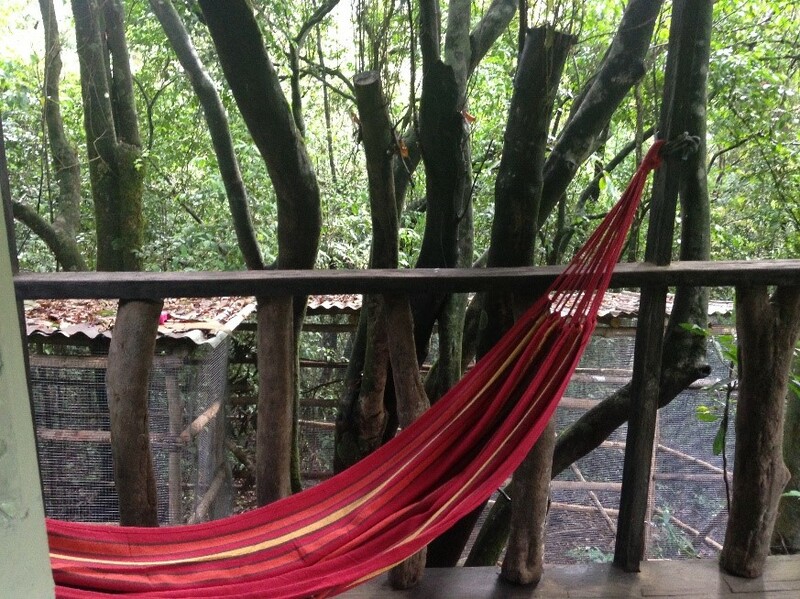 There is a hammock to relax in, a perfect spot to wind down and read a book and listen to all the jungle sounds. 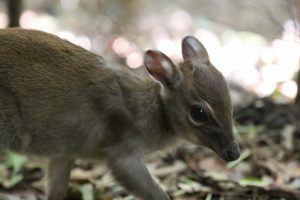 A typical morning starts at 6.30am when we feed the 3 duiker antelope, help to prepare milk for the baby chimps with Mama P, and feed and clean the parrots. When every animal is satisfied, we have our own breakfast!! We don’t need to worry about food: we are provided with fresh bread every morning plus we have a chance to go to the supermarket every week. Lunch and dinner is also included, in which we are given a variety of local dishes and fruit – the staff are amazing cooks! The days just fly by here, in Tacugama. That’s probably because the tasks that we do are so different than anything we would do back home. Even if we don’t like cleaning or washing, here we do it passionately as we know that everything contributes to maintaining the chimps’ quality of life. We take on a variety of roles as volunteers at Tacugama. So we need to be flexible as something always needs to be done, allowing us to experience every aspect of what the sanctuary offers. Alex really enjoys attending the rangers’ patrols around the surrounding forest National Park. The rainforest never ceases to astound me with its array of colour, sounds, flora and fauna. I am amazed by the extent of these rangers’ knowledge of the jungle, and have learnt a lot about the history and geography of the Peninsula as well as about the various species that inhabit it. 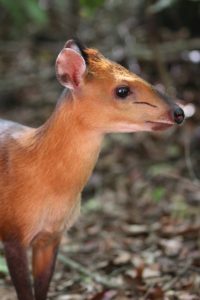 The patrols may be repetitive and challenging at times for the rangers, particularly in the rain season and the forest tracks sometimes steep gradient, but these patrols are essential for the monitoring and safeguarding the future of Sierra Leone’s biodiversity within the Western Area. The hikes are also rewarding as you get fantastic views of the peninsula plus get to experience the wild habitat that the chimpanzee would inhabit outside of the sanctuary walls. 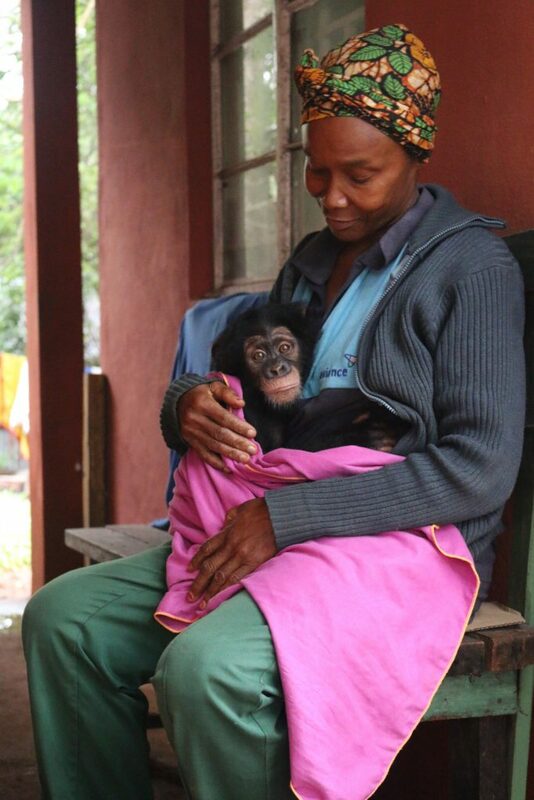 One of the highlights has to be waking up at the crack of dawn to help Mama P feed the baby chimpanzees. The similarity between baby chimps and humans is uncanny, it was wonderful watching how excited they would get to see Mama P and the banana mix. 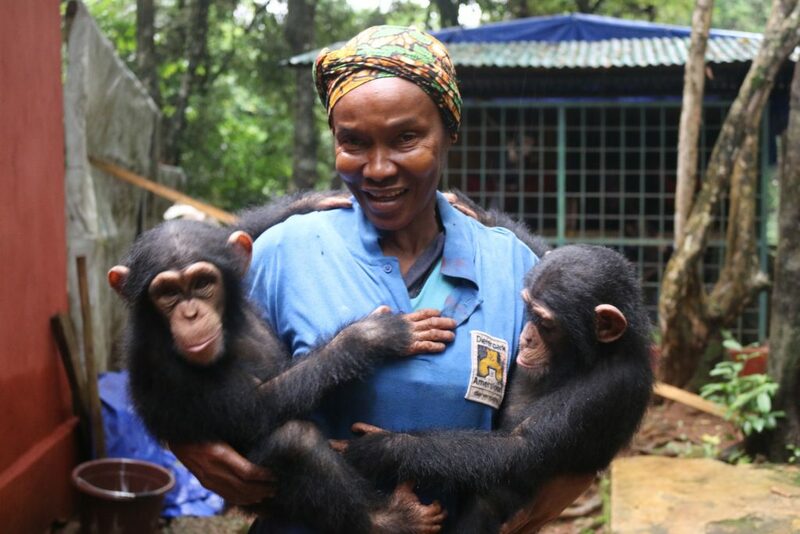 The relationship between Mama P and the young chimps is so precious, first she bids them a ‘good morning,’ and they each reach out and touch her chin in response. 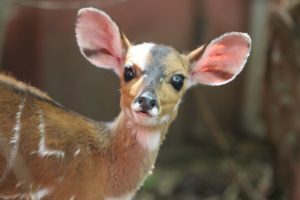 I was also fascinated by how calmly they wait their turn to be fed and how Mama P can name each one instantaneously; she starts with the youngest first – Matilda and Sophie (my favourites), then works her way to the oldest and leader of the group. It was so sweet to observe how the baby and juvenile chimps paired up and stayed together at playmates, either hugging or holding hands around their cage. It is obvious that these chimps mean the world to her, and that they feel the same way about her. From my time at Tacugama I realise this was the same with all the workers on-site. The staff here are absolutely fantastic! The management team are very friendly and are great to work with. They are clearly very passionate about their line of work. We can say the same about all the staff, too. Everyone is nice, we can ask about anything, they always answer with big smiles on their faces. Wow! This has made me very excited to volunteer here. It sounds phenomenal.